On April 18, 2016, the Tahrir Institute for Middle East Policy (TIMEP) hosted a book talk at Busboys and Poets in Washington, D.C., featuring Jack Shenker, author of The Egyptians: A Radical Story. TIMEP Executive Director Dr. Nancy Okail moderated the discussion. 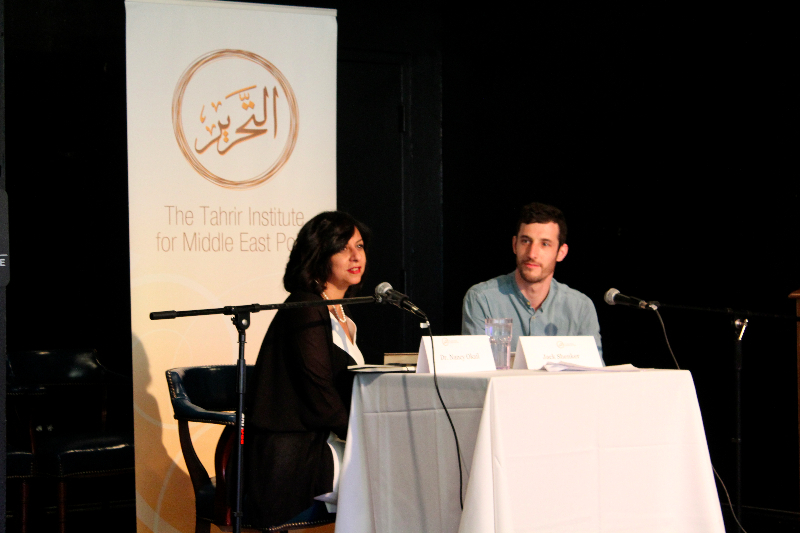 The audience raised questions about the dangers of reporting in Egypt. Shenker responded, “Foreign journalists enjoy privilege that locals do not. But there are always risks, and red lines at the moment are unclear.” Other questions raised discussed the process of writing the book, as well as the selection of its title. Jack Shenker is a former Egypt correspondent for the Guardian whose coverage of the 2011 Egyptian revolution won multiple prizes. His investigation into migrant deaths in the Mediterranean Sea was named news story of the year at the prestigious One World Media Awards.